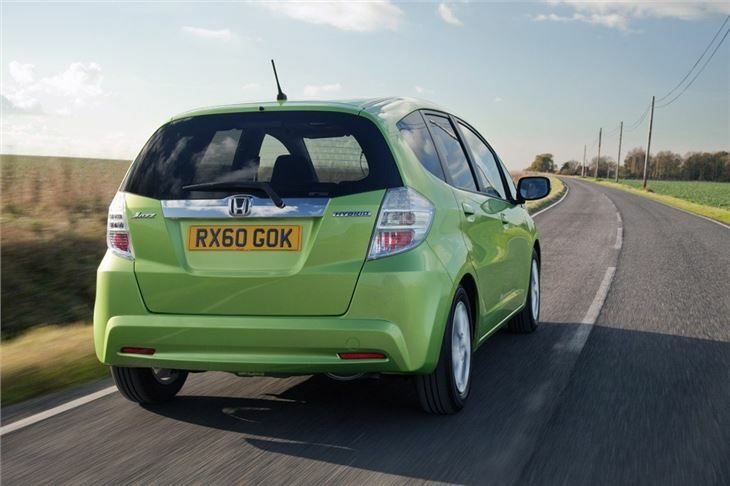 Honda has given its popular Jazz a midlife refresh, with a range of enhancements to both looks and driving dynamics. 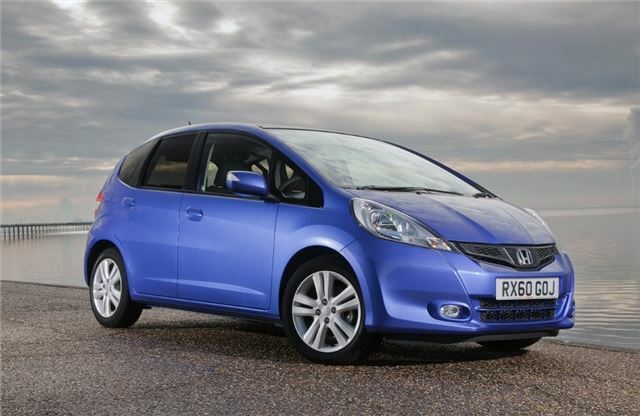 The revised Jazz range, which will include a hybrid model, goes on sale in the UK on 1 February 2011, with prices starting from £11,295 for the 1.2 S model and £15,995 for the new Hybrid variant in HE trim. New front and rear bumpers are the main differences on the outside. These have also been designed to reduce drag as the airflow passes over the Jazz's body and to avoid turbulence. These styling improvements aid aerodynamic efficiency on all Jazz models helping the Cd figure to fall from 0.336 to 0.330. The constantly variable transmission, more commonly known as 'CVT', which first appeared in the previous Jazz range has been brought back due to overwhelming customer demand. The CVT transmission is a standard feature on the Hybrid while it is available as an option on 1.4 litre petrol models, where, thanks to the improvements, it now matches the economy and emissions of the outgoing Jazz i-SHIFT, with a CO2 value starting at just 125g/km. Inside, leather upholstery is now available along with the addition of chrome rings defining the air vents, instruments and climate controls across the dashboard. Leather seats are standard on the Jazz Hybrid in HX trim and available as a £1,250 option on the 1.4-litre petrol EX model. The Magic Seats, famed for their flexibility and multiple seating and cargo-carrying configurations - are now even better with the addition of a reclining rear seat. The rear seats can now recline 73mms to increase rear passenger comfort. The established 1.2-litre and best-selling 1.4-litre i-VTEC petrol engines remain in the Jazz range and to compliment the launch of the Hybrid variant, these two petrol engines have benefited from some small reductions in CO2 values and improved fuel economy. The 1.4-litre manual variant with manual transmission has emissions starting at 126g/km down from 128g/km and uses a claimed 51.4mpg on the combined cycle. The 1.2 litre engine uses a claimed 53.3mpg and also drops two grams of CO2 to 123g/km. The Jazz Hybrid is an ultra-efficient car with a combined fuel consumption figure of 62.8 mpg - and with the same super-smooth electric system as the Insight, even more fuel is saved around town. While a CO2 output of just 104g/km makes the Jazz Hybrid the lowest of any automatic car in the B-segment. All Jazz models, including the Hybrid version, share new sleek, projector style headlights adding to the sportier look. There are four new colours available across the petrol range - Azure Blue, Polished Metal, Urban Titanium and Ionized Bronze. 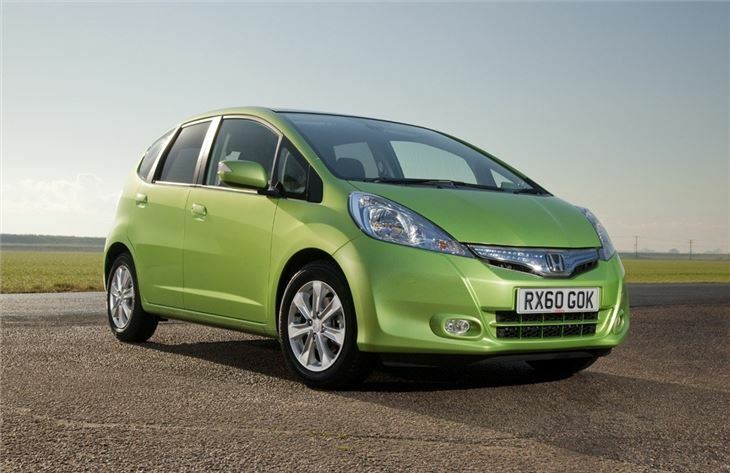 The Hybrid version also benefits from Azure Blue plus two new colours - a vibrant Lime Green Metallic and Taffeta White.